Yes, but he died in the cause of his country. His spirit has gone hence. 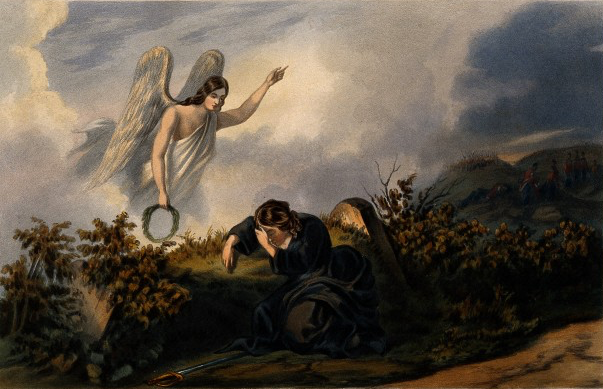 And his last earthly thought was of thee. 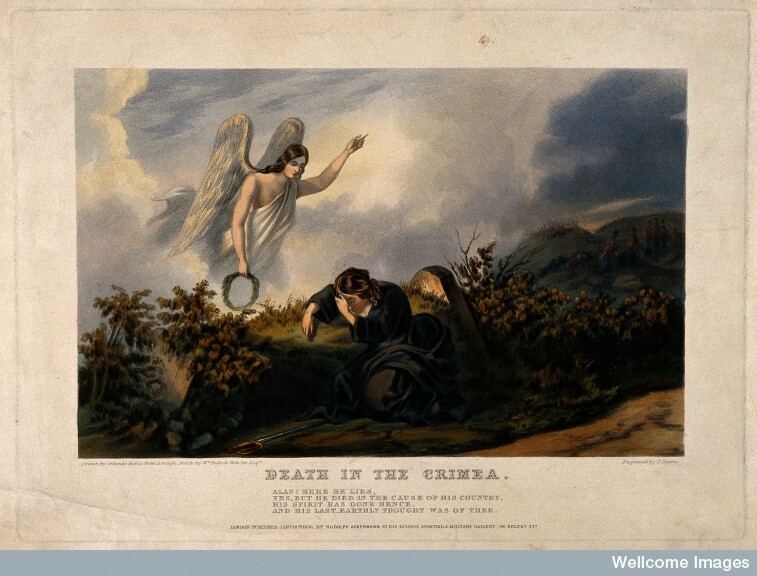 J. Harris, “Crimean War: Allegorical Image of Death Appearing over the Battlefield” (1856). After O. Norie and W. Bullock Webster. Original Source: https://wellcomeimages.org/indexplus/image/V0015426.html © Wellcome Library, London.